In new video of MMORPG Albion Online, game designer Michael Schwahn decided to tell you about some new items in the update Kay. In the coming seasonal awards the team will add battle mounts that have skills. 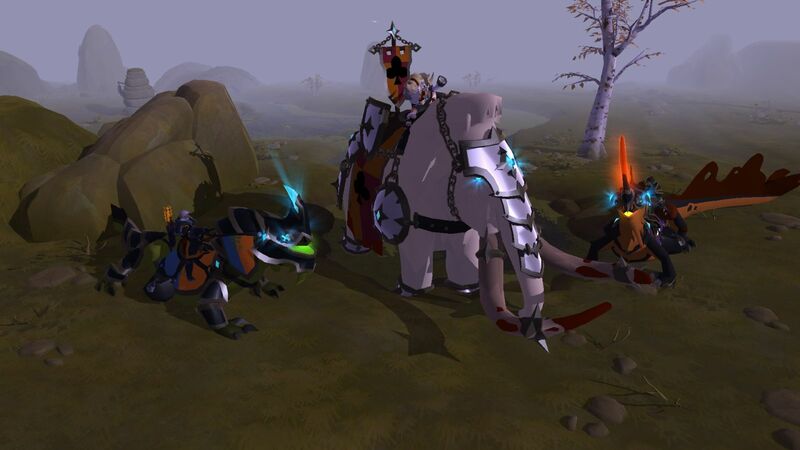 To be more precise, players in the open world will have the opportunity to use three such mounts. A Command Mammoth has a lot of hit points, and you are hard to knock. His shield or Aura raises the damage to nearby allies, but unfortunately, the direct knockback attack of this mount is rather weak. A Flame Basilisk deals AoE damage and ignites enemies (it is naturally strong against mammoth). A Venom Basilisk reduces enemy attack or defense. This creature can easily dive inside the enemy lines. In addition, the team will introduce a rare Artifact Level 3 weapon for group battles in the open world. Get it will come from castles, raid bosses, and the Hellgates. This weapon has even new spells. For example, the Camlan Mace will allow you to pull the enemies to a black hole, the Blazing Staff - causes a flame tornado, the Bow of Badon - releases an arrow that creates a storm cloud when colliding with targets (stuns enemies).